How to find a decent cheap storage in Toronto? Home » How to find a decent cheap storage in Toronto? Having a storage unit is a must these days. We always have things we do want to keep but still, we have no space to keep them in our house or basement. From the other side, the basement sometimes cannot be a good place to keep some sensitive things. They can be ruined because of humidity, but keeping the stuff in a storage place can assure you of their safety. It is highly possible to find cheap storage in Toronto since it is a really big city. The only thing you should do is to search for it. In case you are moving and you need professional help to relocate, you can count on moving companies, like High-Level Movers Toronto, to provide storage units for you. They can also give you information, where to find cheap storage in Toronto. Moving companies can provide a lot of different services for you. The best way of finding out what you actually need is to call them. 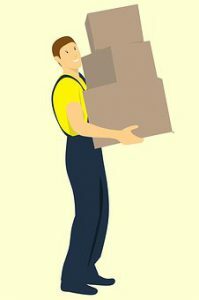 Professional moving companies will provide all the services you may need, including professional packers! You can always pack your stuff yourself, but you have to know that it won’t be easy and it will take a lot of time. So, the best solution for this is to hire professional packers. They will take good care of your stuff and pack everything properly and quickly. We all have things that we want to keep but still, we don’t have space to keep them in our house or apartment. That’s why we rent a storage unit. Some things require special care and can be damaged by humidity and direct sunlight. This is why, before renting any storage unit, we should search for the one that suits us the most. Price of a storage unit depends on location, size and the type of storage unit. But, if you spend a little bit of time searching, you will for sure find cheap storage in Toronto! Some self-storage units can be far away from your place. From the other side, some cheap storage in Toronto you can also find not so far away from the place you live. Price can be different everywhere and it can depend on the location. For example, some storages placed far away from you can be cheaper but it won’t be convenient if you need to go there every day. In places like that, you should store furniture or anything that you won’t use often. You will always know what size of storage unit you need to rent. 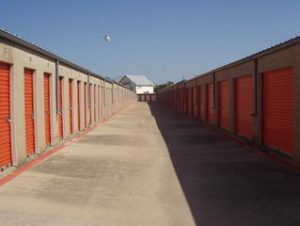 Every storage facility will provide different sizes of storage units. When you decide to rent, call storage facility and ask about the size you will need or simply just drive there and check the storage units yourself. The sizes of storage units you can rent are 5′ x 5′ (which is 25 sq ft), 5′ x 10′ (50 sq ft), 10′ x 10′ (100 sq ft), 10′ x 15′ (150 sq ft), 10′ x 20′ (200 sq ft), 10′ x 25′ (250 sq ft) and 10′ x 30′ (300 sq ft). Knowing the sizes you may rent, you can at least know which one is the perfect place for storing your stuff. There are different sizes of storage units. You should know which one is the best for the stuff you want to store! Toronto storage facilities offer you a lot of different kind of units. The type of the storage also depends on the things you need to store and on what kind of treatment your stuff requires. So, let’s see now what kind of storage units we can find, and which one will be the best for our belongings we want to store. Also, you should know the size of a storage unit you want to rent. Climate controlled storage units are highly recommended if you have sensitive stuff to store. Almost all indoor storage units are climate controlled but there are some facilities who offer climate controlled outdoor units. Extreme weather and temperature can ruin and damage a lot of your belongings. That’s why climate-controlled self-storage is certainly the most popular one. Sensitive stuff like oil paintings, photos, electronics, wood furniture, artwork or any kind of antiques you should store in a climate controlled storage unit. Direct sunlight can damage your paintings. Also, humidity can ruin paintings, electronics or books for example. 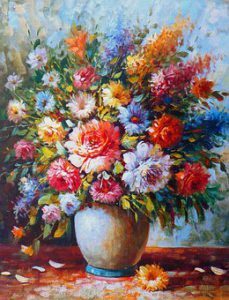 Oil paintings like this should be placed in a climate controlled storage. Direct sunlight or humidity can cause a lot of damage. Drive-up storage gives you an easy access to your stuff. The only thing you need to do is to drive-up literally, open the door and take stuff you want or load in things you don’t need anymore. However, 24 Hours storage is good for those who need to have access to stored stuff all the time, 24 hours per day, 7 days per week!